This week, I’d been searching online with my new HP Envy X2 PC for Mother’s day crafts that my daughter Bridget and I could make. 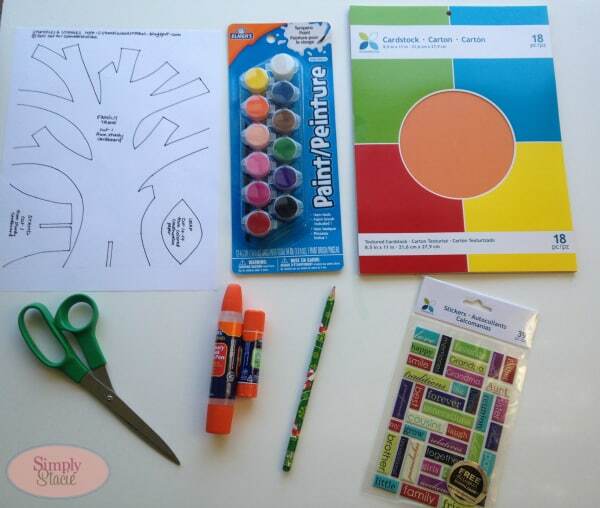 I found lots of Mother’s Day printables (watch for my post on them coming up this week!) and printable family trees. 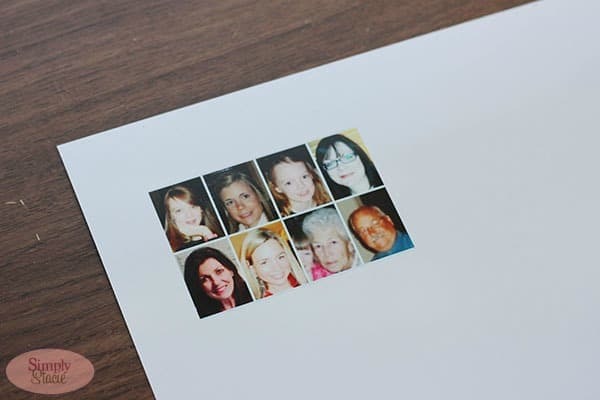 However, I wanted a craft that was more interactive and that we could personalize with photos printed on our HP Photosmart 7520 e-All-in-One printer. 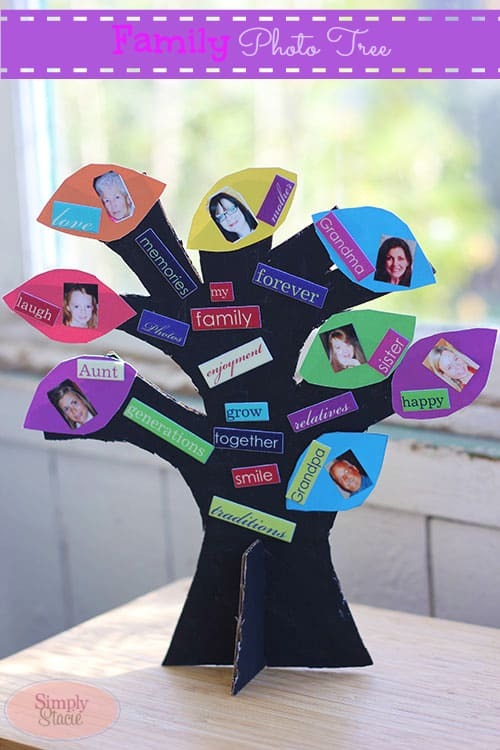 I ran across a really fun craft on Stumbles & Stitches for a cut out family photo tree with a stand. It was bright and colourful and with lots of room for creativity. The craft was very simple and didn’t take long to make. I picked up some scrapbooking stickers that had words like “Grandma”, “Mother” and “Love” that I thought would be a nice added touch to the family tree. Bridget decided on painting the tree black since “it goes with all colours”. She was very proud of her family photo tree. I helped her, but she did a good portion of it on her own. She asked if we could make the next one with pictures of our cats. 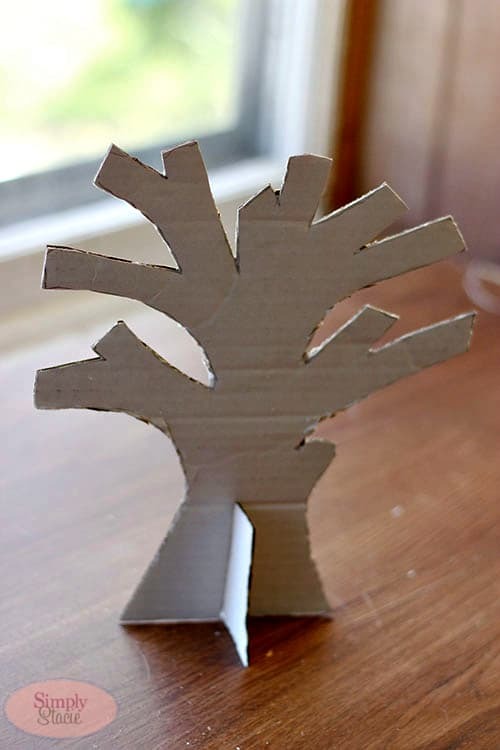 Step One: Place the stencils of the tree trunk and stand on a cardboard. Trace around the outside with a pencil. Cut out each piece with scissors. Step Two: Paint the tree trunk and stand in the colour(s) of your choice. Set aside to dry. 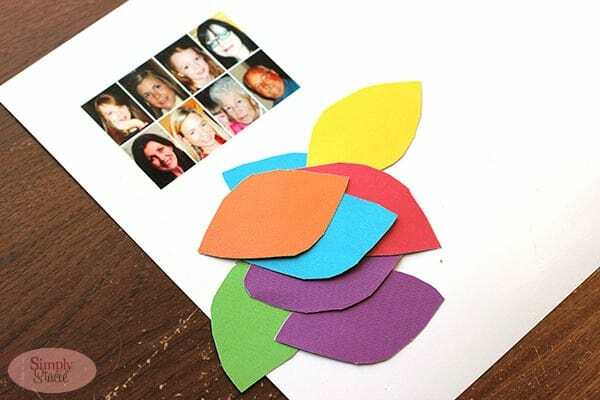 Step Three: Visit Picmonkey to create a photo collage of the headshots you will be using on your tree. 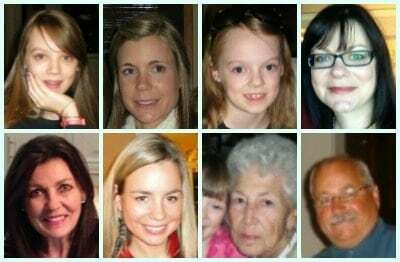 I used small headshots of my family members shrunk down to about 150 px wide. Step Four: Upload your collage into HP Photo Creations. I went into Wallet Sized Prints and selected 4×6 as the size. Print on HP Everyday Photo Paper. 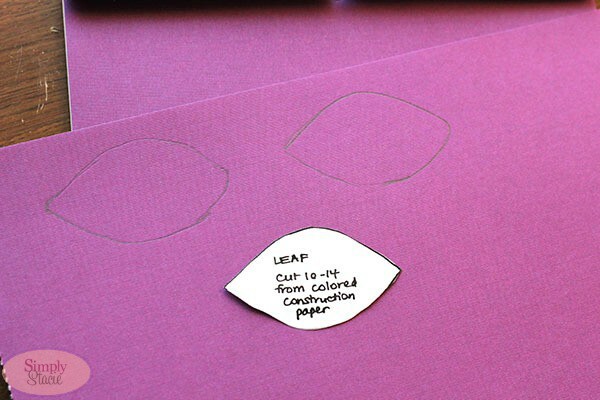 Step Five: Trace the leaf onto your cardstock paper and cut out. I had 8 leaves, but you could add more or less depending on how many family members you want to include. Step Six: Cut out pictures of family members. 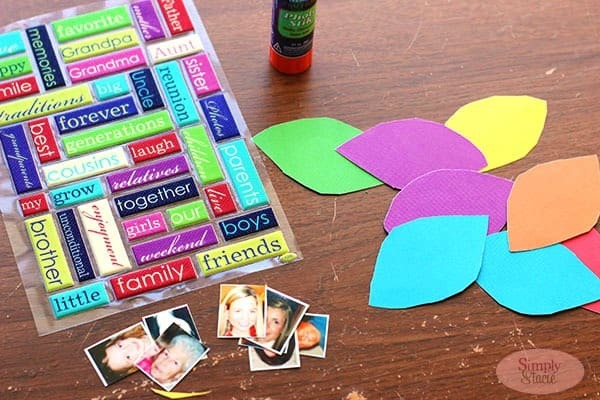 Glue a picture on each leaf. Add a sticker to each leaf. 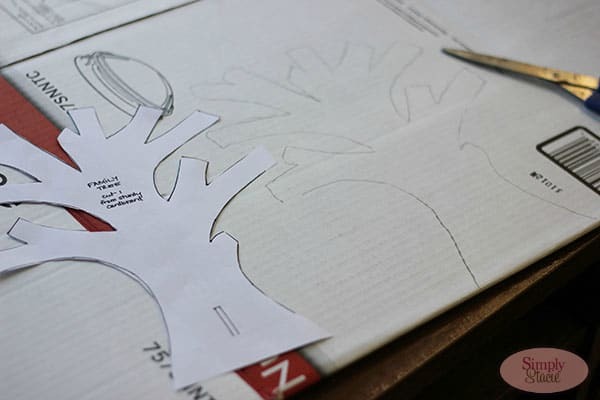 Step Seven: Glue each leaf on the branches of the tree trunk. Step Eight: Add remaining stickers to the tree trunk and branches. 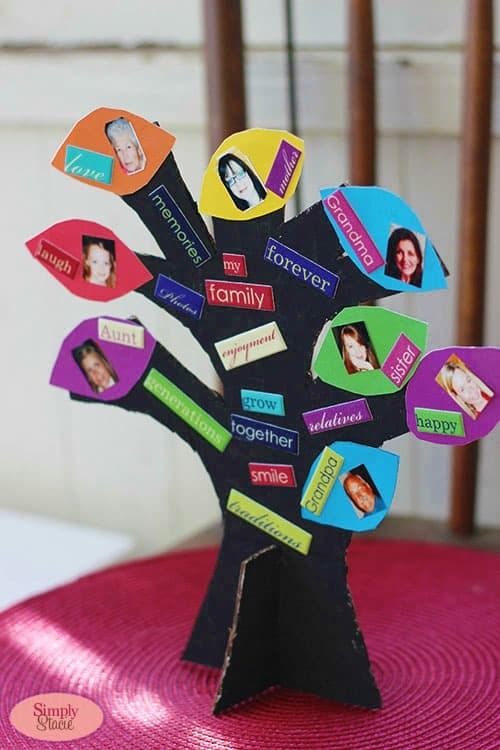 Place in the stand and voilá: a Family Photo Tree! 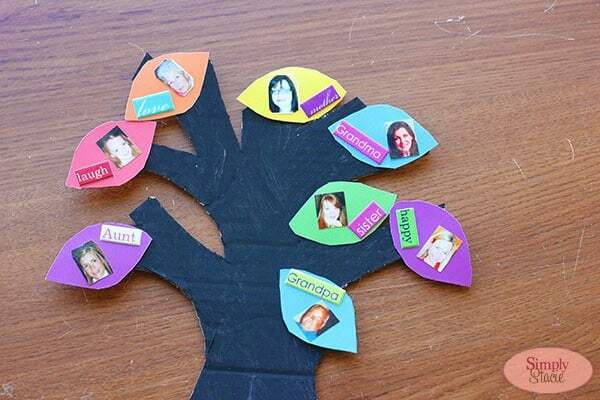 The Family Photo Tree is the perfect craft to make for Mother’s day as it’s all about cherishing family. Another idea would be to include pictures of mom and child or grandma and child on the leaves and give as a Mother’s day gift. My mom is in Ontario so we took a picture of it and posted it on her Facebook profile so she could check out Bridget’s masterpiece. What a nice craft! And I agree with Bridget: black is a great colour for the tree; the other colours really look good with it.